Nutshell: Bradley alumni team. Backed by Golden State Warriors point guard and Peoria native Shaun Livingston. Alums off the 2006 team that shocked the nation when they went to the Sweet 16. 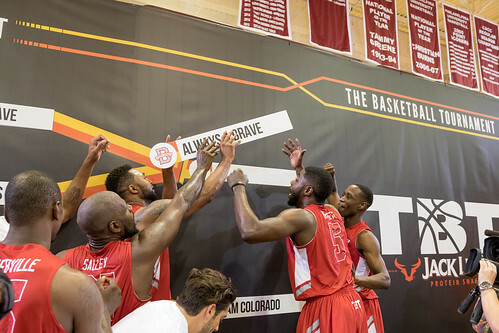 Always A Brave won the Midwest Regional Championship in TBT 2016. 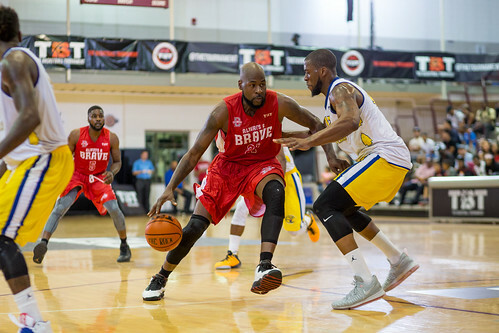 Always A Brave forward Marcellus Sommerville (21.2 ppg, 7 rpg) was named a member of the TBT 2016 All-Tournament Team. 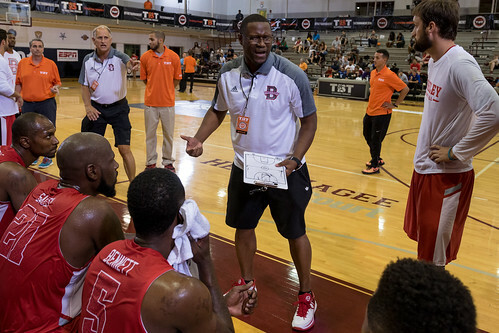 University of California all-time leading scorer Jerome Randle joined the team in TBT 2017. He averaged 16.7 points per game. Walt Leom Jr. averaged 17 points per game in TBT 2017. He signed a 10-day contract with the New Orleans Pelicans in February. 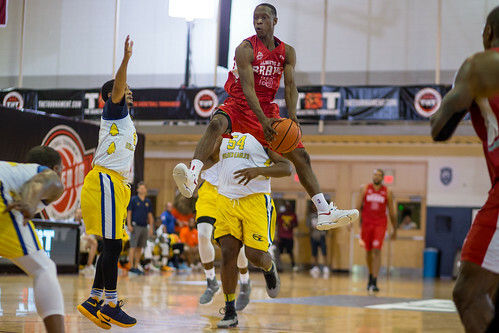 In its first-ever trip to TBT’s Super 16, Midwest Region #2 seed Scarlet & Gray looked right at home. 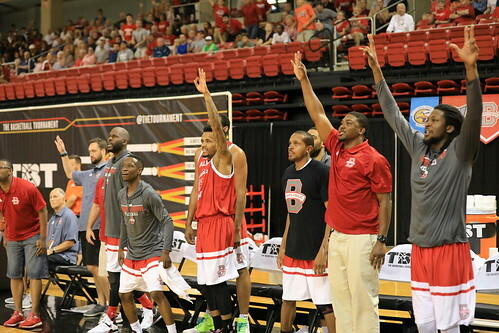 Jared Sullinger rebounded from an uneven performance in the Round 2 win to register 21 points and nine rebounds as the Ohio State University alumni squad put together an 11-0, second-half run and hung on to defeat #3 seed and defending Midwest Region champion Always A Brave, 81-72. Aaron Craft hit seven of his eight field-goal attempts and finished with 21 points, nine rebounds and five assists for Scarlet & Gray, which outrebounded Always A Brave, 39-24. 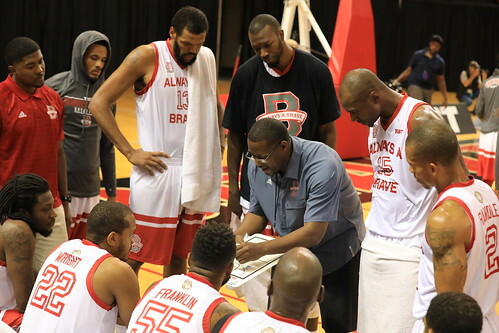 Jerome Randle led all scorers with 22 points, and Walt Lemon added 20 points in the losing effort for Always A Brave. 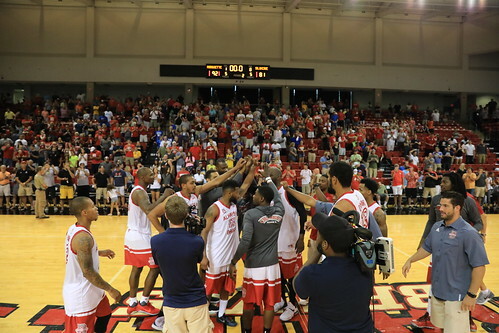 Scarlet & Gray advances to face the #1 seed Golden Eagles in the Midwest Region championship game on Sunday, July 23rd at 12:00 PM ET, live on ESPN. Marcellus Sommerville, who scored a game-high 17 points in #3 seed Always A Brave’s opening-round win, tallied a team-high 21 points to send the Midwest Regional hosts on to a second straight Super 16, courtesy of a 92-81 victory over the #6 seed Fort Wayne Champs. Stephan Hicks led the offense with 23 points for the Fort Wayne Champs, who failed to advance to the Super 16 for a second consecutive summer after reaching the TBT semifinals in 2015. Marcellus Sommerville led all scorers with a game-high 17 points and #3 seed Always a Brave gave its raucous home crowd at the Renaissance Coliseum everything they could ask for in a 68-63 win over pesky #14 seed Mid American Unity. Always a Brave trailed by 5 points at half-time, but pulled it together in the second half to walk away with a win. They'll advance to the super sixteen round in Brooklyn. 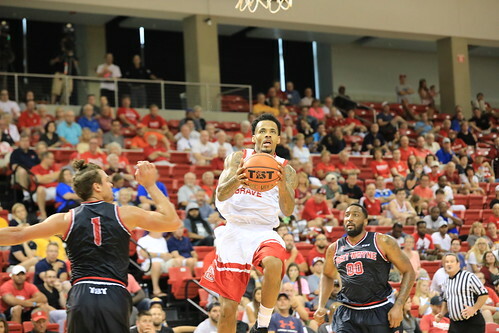 Walt Lemon had 12 points in the win for the defending Midwest Region champions, who survived a back-and-forth affair that included five ties and eight lead changes. Mid America Unity more than held its own in its TBT debut. Richie Gordon (14 points), Jay Youngblood (12 points) and Jamil Dudley (11 points) all scored in double figures in the losing effort. Marcus Hall continued getting buckets for the University of Colorado alums as Team Colorado downed mid-major darlings Always a Brave, 78-70 before a raucous crowd at Fordham’s Rose Hill Gym in the Bronx, NY. 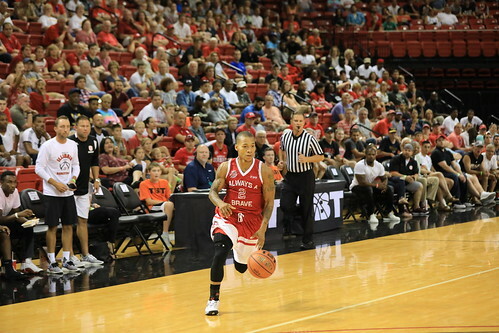 Hall scored 25, for a tournament leading 120 total points through 5 games. 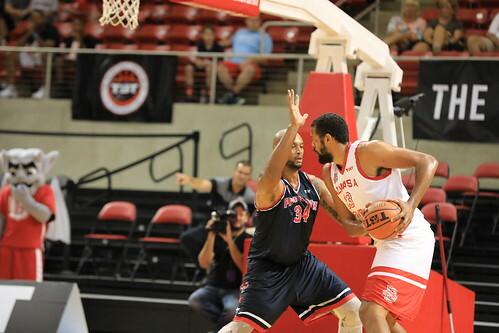 The Bradley alums suffered a huge loss early in the game, as team leader Daniel Ruffin went down with an Achilles injury only 5 minutes in, but Always a Brave hung tough behind a team high 16 points from Jeremy Crouch. In a Midwest region stacked with alumni squads from schools such as Kentucky, Michigan State, Kansas State, and a team consisting of Mike Bibby and Jason Williams, it was the underdog who showed that team basketball trumps all. 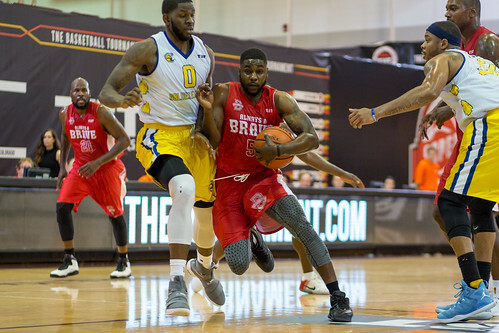 Behind 25 points from Marcellus Sommerville and 14 from Daniel Ruffin, ninth seeded Always a Brave, a group of Bradley alumni, upset Golden Eagles Alumni, 89-81, to advance to the semifinals in New York City. 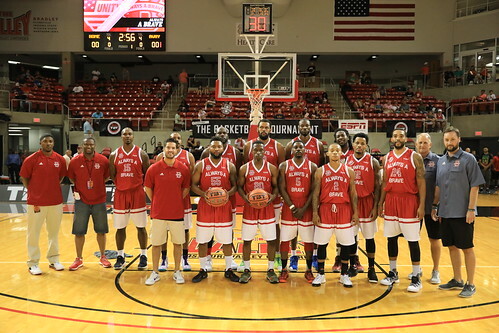 The Golden Eagles Alumni, who were outscored 50-39 in the second half after taking a three point advantage into the locker room, received 23 points from Darius Johnson-Odom and 21 from Dwight Buycks. 28 points from Marcellus Sommerville and 14 from Daniel Ruffin paced Always a Brave in their upset win over the Jason Williams and Mike Bibby led Pedro's Posse. After jumping out to a 41-36 halftime lead, Always a Brave shot 70% from the field in the second half to pull away. Amadou Mbodji led the way for Pedro's Posse with 13 points. Always a Brave scored six straight points and Tony Bennett hit a last-second 3-pointer with 1.5 seconds remaining to give his team an 78-77 win over the Jackson TN Underdawgs on Sunday in Chicago. With 10 seconds to go and the Jackson TN Underdawgs up by five, Always a Brave's Jeremy Crouch hit a 3-pointer. Tony Bennett of Always a Brave stole the inbounds pass and buried a triple to put them up by one point with 1.5 seconds to go, 78-77, and they held on for the win. 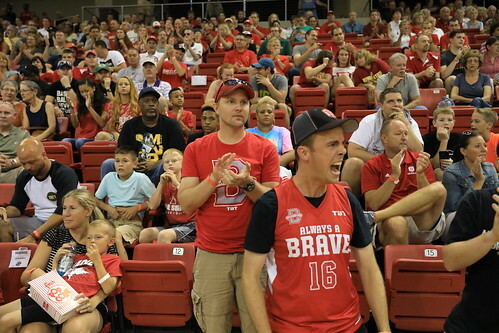 Jeremy Weddle scored 22 points of the Underdawgs, and Marcell Sommerville led all scorers with 25 points for Always a Brave. 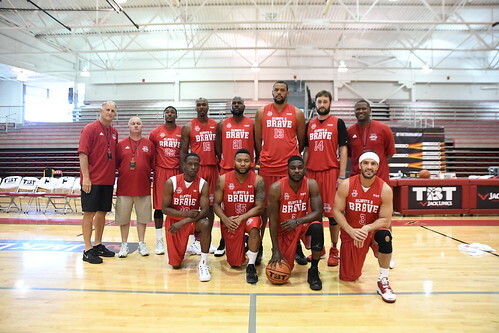 Marcellus Sommerville scored 18 points and pulled down nine rebounds to lead Always a Brave, the team of alumni from Bradley University in Peoria, IL, to a 74-68 victory over 120 Sports on Saturday in Chicago. Stifling defense forced 120 Sports into a 40.4 percent shooting night, and Always a Brave took advantage with timely 3-pointers and transition buckets. 120 Sports's Nate Lubick, a former Georgetown Hoya, led all scorers with 20 points. Will Franklin scored 17 points for Always a Brave and secured six rebounds.